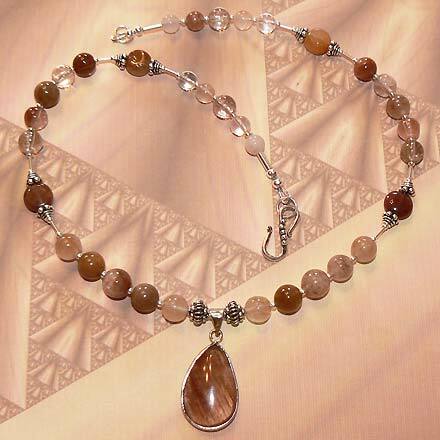 Sterling Silver Red Hair Rutilated Quartz Necklace. See Closeup. 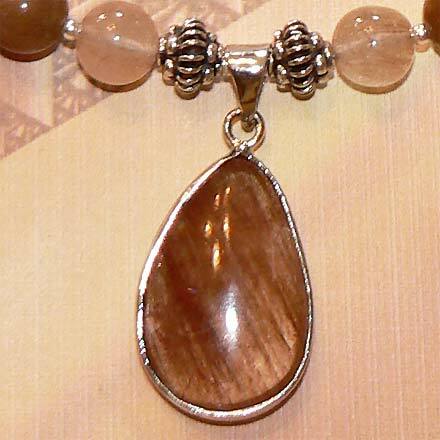 Sterling Silver Red Hair Rutilated Quartz Bracelet. 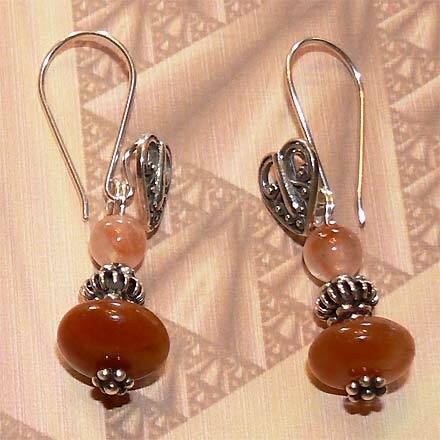 Sterling Silver Red Hair Rutilated Quartz Earrings. 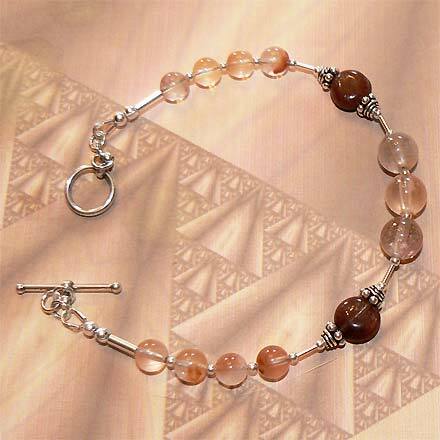 Charming clear and muddy quartz beads, predominantly with red rutiles. Looks like red fiber or hair, but it's a mineral. So amazing what nature creates.